I can hardly contain my excitement. Over the past few months I’ve been studying compelling and seemingly obscure and underground health subjects beyond raw foods, one of them being ORMUS (ORME), and I’m so thrilled to finally be able to share it with you! What is ORME / Ormus? Ormus is a naturally occurring substance that permeates the platinum metal group of our periodic table of elements. However it appears to be THE untold secret in mineralization and the alchemical keys to health. Many believe it to be the next frontier in health and man’s evolution. 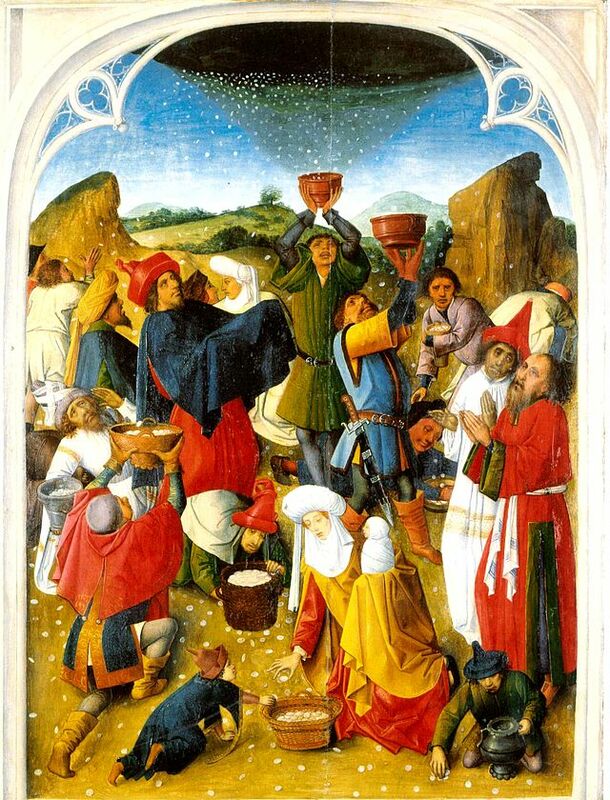 In ancient times it was mentioned in Chinese, Hindu, Hebrew and Egyptian alchemical texts as the Elixir of Life, Chi, Biblical Manna, Star Fire, and also known as The Philosopher’s Stone, White Powder of Gold, even potentially Morning Dew. ORME is also an acronym for “Orbitally Rearranged Monoatomic Elements”. The phrase was coined by David Radius Hudson, who has done an enormous amount of research on the subject and shared with thousands of others. The word ORME — perhaps coincidentally, or perhaps not — is the same as the Hebrew word which means: the “Tree of Life”. And the more I examine this, the more it does seem like it would be the tree of life as mentioned in ancient scriptures. In low concentrations it’s said to be present in our body’s physiology, in some of our foods, in our soil (particularly in high altitudes), spring water etc, just like other minerals are. However, there are people who are extracting them from dead sea salt, or other areas and providing isolated, high concentrations of it. And there are many incredible, superhero-like claims coming from those who consume the concentrated extract for a certain period of time. 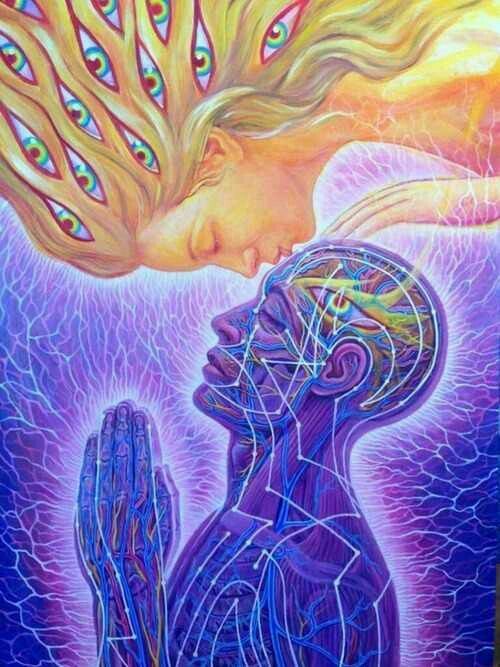 Things such as increasing the speed of manifestation (good or not so good things – depending on person’s thoughts / state of conscsiouness), lucid dreams, increased health and energy, higher sense of awareness, improved relationships or higher awareness regarding toxic relationships, less needed sleep, kundalini / spiritual awakenings, activated pineal gland and many others. Physically the implications of this are enormous. For example, where there is plentiful Ormus in the body, surprisingly rapid healing of damaged skin and muscle tissue has taken place, with minimal scarring. This would indicate the increased efficiency of healing-energy transfer and increased new cell-growth response to the damaged tissue. We can see that increases of this type could naturally extend the normal healthy lifespan and strong immune system. 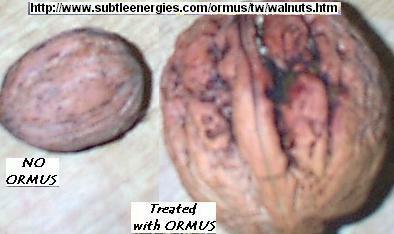 ORMUS is also believed to have amazing agricultural and / or ecological benefits if applied to plants. Some who have integrated it on their farming methods have posted pictures of the test results, where the crops / fruits / vegetables have shown to have an increased quality and size. There are also claims that taking this in high concentrations repairs DNA and there are clinical / scientific studies conducted by Harmonic Innerprizes with MRI machines demonstrating that Ormus balances the right and left brain hemisphere as well as other incredible benefits. Before some of you skeptics ridicule this idea, and choose to perceive it as some new-agey mineral supplement to sell to people without any “mainstream” scientific or media backing, check out the video below. This author presents some really valid points and research that are definitely worth taking a look at if this topic interests you. 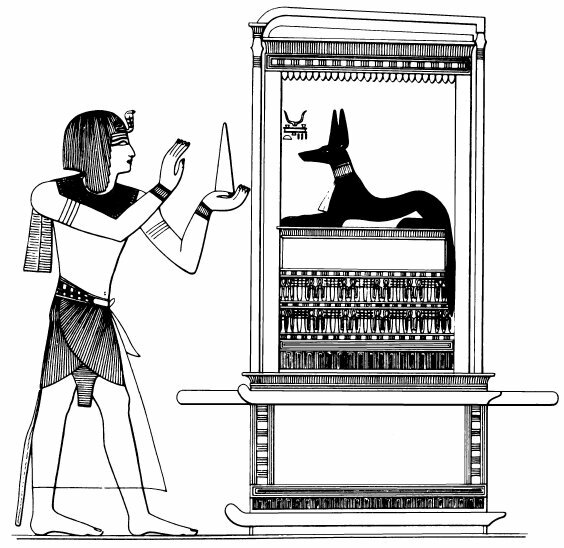 In this presentation, we can see that ORME / Ormus represents a huge subject area, involving state-of-the-art chemistry, physics, and physiology, interpretations of Sumerian, Egyptian and other histories (the Anunnaki, Gods and Goddesses of the Ancient World) philosophy, Sacred Geometry, the Tree of Life and Ha Qabala — to name only the more obvious connections. In many respects, ORME is the connecting link between all of these subjects — as well as a whole list of other subjects not mentioned. In the world of nutrition, ORMUS appears to give superfoods their magic, according to David Wolfe. Aloe vera contains high concentrations of this substance, for example. So does fresh spring water (specially sourced from high altitudes) and cacao. The most interesting part about all this for me is how I actually came across it. I believe it presented itself to me. One Saturday, I decided to visit the beautiful Self-Realization Lake Shrine Temple in the Pacific Palisades near Santa Monica, CA. It is a beautiful, spiritual sanctuary designed for meditation and learning the ancient teachings of yoga and devotion to the divine. 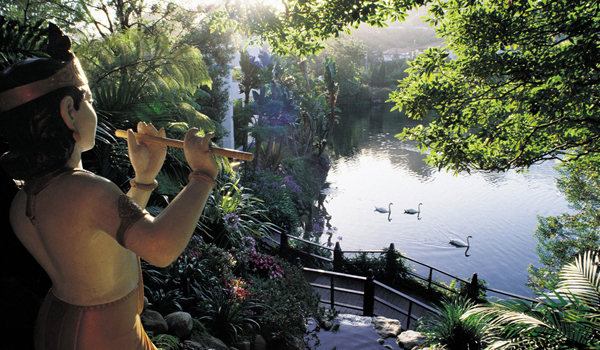 As I was meditating at Lake Shrine I set the intention to learn something new that would improve my life. Recently, during my meditation practices, I go into the meditation with some type of question or intention. This time I specifically asked “What do I need to know now to accelerate my spiritual growth and unfoldment of my higher purpose? After a while of searching for thought-free deep silence, I loudly and clearly heard the words in my head “THE ELEMENTS”. I was a little stunned by this because it was one of the very few times I’ve heard something so clearly and defined in my mind during meditation. As if it was telepathically communicated to me. I really had no idea what that meant, I thought maybe it implied something regarding the elements air, fire, water..etc. I just recorded it in my mind and went on with my day. Later that same night, as I was surfing YouTube, enthralled by Drunvalo Melchizedek (author of The Ancient Secret of the Flower of Life) and learning about his teachings, I randomly clicked on one of the side videos titled ‘History of the Anunakis’. I have no idea why I did, as I haven’t dived into the topic of extraterrestrials for a long time but for some reason it just appealed to me. In this video they mentioned the ORME alchemy (philosophers stone) and minerals. Deeply intrigued and remembering what I’ve learned regarding gold, silver, copper, etc. in Fulvic Acid nutritional supplements (complete mineral supplement which contains most of the elements in the ORMI alchemy), I decided to look deeper into this. Reading through some of the first links I came to a screeching halt when I read the words “The Elements”. It immediately clicked. Is this what had been communicated to me during meditation? Is Ormus the message? Until this very day I firmly believe so. It’s not something I can really prove in a logical sense, but I can say that my heart sent me a signal of correlation as soon as a I read it. And I would not have taken it as seriously if it wasn’t for this synchronicity that occurred during prayer and meditative introspection. I’ve been consuming this magical, milky-white substance for the last five months and have been experimenting with about four different suppliers. So far the best one I’ve experienced is Tibetan Gold’s Ormus. I’ve noticed a kind of openness, receptivity and sensitivity that is evident in my experience thus far. I can say that ORMUS could be an excellent supplement for mediums, clairvoyants, psychics, healers, etc. I’ve experienced precognitive and extremely vivid, long dreams. My dream journal has grown from a short post every couple of months to an almost a daily detailed entry when I find the time to document them. I remember 98% of my dreams, which clearly equates to deeper, more restful sleep. I’ve also had dreams where I wake up in the middle of the night and then I’m able to go back into the same dream, but this time it’s a lucid dream. That’s definitely never happened before. I’ve also noticed more positivity and light-heartedness in the way that I deal with certain situations. I feel more at ease, calm and less stressed about things that would normally stress me out. While I was taking Tibetan Gold, I felt much more present. I sensed a deeper connection to “living in the moment” and a disconnection from anxieties or stress about the past or future. This is similar to the effects I experienced upon switching to an all raw diet, but definitely an entire octave deeper. Additionally, I sense there are other areas of my life where this may have had an impact, but I cannot be sure. It’s opened me even more than before regarding curiosities about life and how I see myself and reality. It’s inspired me to perceive things outside of my self (awareness of the limits of ego?) and opened my perceptions to ideas and realities that are not normally spoken about openly in society. I’m not sure if this is part of the collective consciousness shift that’s going on or what, but I feel that since I’ve started taking ORMUS, it’s as if someone’s pushed the fast forward button on this spiritual growth process! Everything is moving so fast, sometimes it’s uncomfortable as all growing pains are, sometimes it’s absolute bliss, and it’s almost impossible to let something fully sink in before another one happens! If this is something that interests you and calls your name, I would say give it a try or research the topic more deeply. Feel free to leave comments and questions below. I will keep on posting more information regarding my experience with ORMUS, so stay tuned! Is Our Idea of Paradise the Same? I can’t find the link for the video you mentioned in your latest post. Did I miss something? Funny you wrote this about your message so clear in your mind. At t scanned your post, and I started writing comments. I got an error when I posted though, so I am writing again. This time I read your entire article, and came across what you said yesterday. First of all – research Lawrence Gardner and Mr. Hudson. You will find that these people are connected to the ptb in ways you may not have known or considered. Also, if you do your research on ORMEs, you will find they are designed to get you a “shortcut” to “spiritual development”. You will also find information that while these materials “enhance” your spiritual sensitivity currently, long term they are designed to degrade your DNA and calcify your pineal gland. So you get taken in by the immediate effects, hooked on them, in order you may take more, without realizing long term, it will destroy your spiritual potential embedded within your DNA. Also, when I was drafting my initial reply, reason I quoted you at the top of this – Let me tell you, I was impressed when I first heard of these materials a couple of years ago. I too was intrigued. I have a constant spiritual connection to God, His Presence is always with me. I understand Him in sychronicities, intuitions, etc. I have never received a “verbal” in my mind, as you mentioned above is also so rare for you. My mind is always quiet and I do not have to work to stop the internal dialogue, it isn’t there unless I consciously choose to think. When I strongly considered buying these to try myself, I informed my husband. Right then out of nowhere, I received a “Don’t you dare buy that” verbal message mentally, that stunned me and caught me off guard too. Needless to say, I have not bought and will not buy these. I strongly suggest you consider the same – in time, it will destroy your latent DNA. Natural hygienist eh? Then you should know that all this is salesmanship that has nothing to do with health. Hi Seb, I appreciate your opinion. I’ve personally had an extremely positive experience with Ormus. I can’t say all the ormus sold out there is equal, but I’m speaking from my own experience. Ormus is also found in Nature, in mountain springs and in high concentrations in certain foods. Anyone can make it too, instructions for this are easily found.